​​​Since 1998 we have been providing residential and commercial Texas well water users our best irrigation, whole house and commercial well water treatment systems. Our Iron Eater Series is the most popular in this region as it provides both whole house hard well water softening and high iron filtration without the need of multiple filter tanks. We have also provided custom filtration systems to treat high total dissolved solids, sodium, sulfate and chloride that can be found in some water wells. 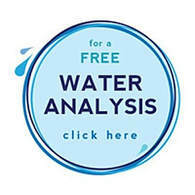 Contact us today to see how we can improve the quality of your Texas tap water or well water.